NLA Systems - Client Testimonials. As Medavia Group, we have been using the software of NLA Systems for more than 20 years. Over these years, we have witnessed high level of professionalism by their team, who also happens to be very friendly. They boast impeccable support and boast of a rapid response time, which attribute is further consolidated by the Maintenance Support Agreement which is provided at very reasonable cost. Their software runs on a very stable platform and is especially reliable. We consider NLA Systems as being an important partner in our business, offering a service of high standard. It has been a pleasure working with their team of professionals over the last 20 years and we look forward to continue with our business relationship for many years to come. Mario Magro - Medavia Co. Ltd.
Across more than 25 years NLA Systems have provided us with custom made solutions to suit our very demanding needs. We are very proud of what we have accomplished together and I strongly recommend them. The staff are very friendly and helpful and we hope to keep working with them for many more years. Kevin Cutajar - E.C.B. Hotel & Catering Equipment Ltd. I was never keen on Payroll Systems until I started using Pyramid Payroll. The system is user-friendly, straight forward and the support is second-to-none. The system makes month-end Payroll calculations swift and flawless. I highly recommend it to other organisations. Evicka Grech - L&L Europe Ltd. The team at NLA are extremely helpful and responsive. Their client support attitude is excellent in view that we would require a fast-response rate to our payroll-related queries. To complement this best practice service, the system is robust and reliable. Back some 17 years ago we decided to go for NLA Software after a rigorous selection process for a comprehensive IT Software Solution. Looking back we definitely do not regret it. NLA have always proved to be a highly reliable partner who gave a very professional and personalised service throughout these years. We always stress that the software must be fully flexible to adapt to the ongoing and ever changing business needs. 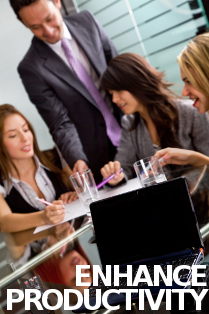 We never accepted any limitations to be imposed on the business by software restrictions. The team at NLA have always embraced our vision/philosophy on this. Together we built a strong relationship that went beyond just a normal supplier/customer relationship. As our business grew and evolved, NLA always delivered in a very timely manner on our requests for elaborate customisations or new software modules which were often highly demanding. Together we pushed the limits and boundaries of the system, also successfully linking the system to several 3rd party products to produce state-of-the-art solutions, that probably none of us back in 1999 ever dreamt of being possible. The above qualities of the people behind NLA, were special and rare traits we saw in no other software company and these are the principal reasons why our relationship grew and lasted close to two decades. Image Systems Ltd has worked with NLA for almost two decades, throughout the years, they have always been very helpful and flexible to the ever changing needs of our organisation. NLA employees are knowledgeable, efficient and have the expertise required to make sure that our requirements are fully met. Alex Gollcher - Image Systems Ltd.
Falzon Group has been using a payroll system by NLA for more than 2 decades and their professional service throughout these years has been nothing but sterling. Their instantaneous help and guidance when needed is a guarantee and we would surely recommend them to those businesses who are seeking to have consistent impeccable service. Throughout these last thirty years, NLA systems, our software company provider, has constantly provided tailor made packages for Express Aluminium Ltd and Bonalco Aluminium Ltd. Backed by a professional team, NLA have always enhanced and updated their systems according to our companies' needs. Their reputable service has always been easily obtained, via telephone, online or by on-site visits. NLA systems are highly recommended both for their tailor made packages and also for their after sales service. We look forward and beyond to enhance our success through NLA systems. Rosario Bonnici - Express Aluminium Ltd.
Calleja Ltd has been a business partner with NLA Systems Ltd for the last 26 years. NLA is a very user friendly system and their service is optimum; difficulties are met without delay. Any government changes in legislation are updated and reflected in the system with due diligence. We are pleased to highly recommend NLA to anyone in need of a professional payroll system. Lorenza Spiteri - Calleja Ltd.
For the past eight years, NLA Systems have been entrusted with the payroll software catering for over 450 employees in the three Lasallian schools and colleges. Their professional approach to all aspects of our client/service provider relationship has assisted us to maintain the highest standards expected by our organization. I truly appreciate NLA's personable, one-on-one customer service. They are always helpful in providing information and advice concerning our payroll needs. Their spirit and willingness to collaborate has gone above and beyond for us on many occasions. They are a perfect fit for our firm. NLA payroll software is the best payroll program we ever had. It is very user friendly and satisfies our general needs. The support and guidance we receive from NLA staff are truly excellent, always ready to give you their immediate attention to solve a problem or query that may arise. We do not hesitate in recommending NLA payroll software. Ronnie Zahra - Golden Harvest Ltd.
Having worked on various payroll systems, I can safely say that NLA payroll is the most easy to use system , user friendly , reliable and can handle all of our complex payroll requirements. The support provided is invaluable and can always be relied on. I have no hesitation in recommending NLA payroll system to any business. Our company has been using NLA accounts package since the millennium bug. We have always found NLA staff efficient, knowledgeable and conversant with their software which we always found reliable. The software proved to be very roboust. Our company has recently upgraded to their new pay package. Whilst retaining the user-friendliness the old pay package had, the new software uses a modern language and MySQL database. Thomas Agius Vadala - Vadala Co. Ltd.
Over the past 20 years or so, all companies under the umbrella of Formosa Group have been using NLA Payroll Systems. NLA have always without fail, supported us in our difficulties with great expertise and with minimum delay. Their systems are always updated, very user friendly, and have run efficiently throughout all these years. It gives us great pleasure and satisfaction to recommend their services to anyone in need of a professional payroll system, unequal support, and personal customer service. St. Michael School has been using NLA Systems Ltd for payroll. Our relationship with the company is excellent. Whenever there are any changes, the payroll is updated immediately and whenever we needed help, they were always prompt and accommodating. I highly recommend their services. We are a micro enterprise and have been using NLA Payroll for the last 9yrs. Its main strength in our opinion is its high degree of flexibility and adaptability especially at start of year when it comes to inputting new tax/NI brackets and types. In addition to that, the software never hanged, crashed or lost any data and backup files are not large in size. Its simple design makes it straightforward to use, and we are still not actually using it to its full potential. David Pulis - Alfred Baldacchino Ltd.
We have used the NLA systems payroll for a long number of years and we have found their service excellent. We have always been provided with immediate amendments to the payroll whenever there was new legislation concerning Tax or Social Contributions and also when we required some other form of assistance. We do not hesitate to recommend NLA systems. Anthony Galea - Windsor Co. Ltd. I would definitely recommend NLA systems to others. The staff are very helpful, knowledgeable, extremely patient and very efficient. I have learned a lot from them and it is always an absolute pleasure working with them. Thank you for a positive experience every time I ask for your support. We had purchased the NLA Payroll software a few years ago and found it very useful. Whenever we needed any kind of support or guidance, NLA staff have always been very helpful and efficient. Highly recommended. We have been working with NLA for several years now. I can recommend their experience, efficiency, and after-sales support with no hesitation. Thank you for this great service. Tania Farrugia - Golden Gate Co. Ltd.
We have been using NLA's sales and inventory software for a 1/4 century. Some years ago we had considered upgrading to other 'modern' products but decided to stick with NLA's package. A wise decision as NLA continue to provide timely support in implementing new modules to cater for our business requirements. A great package with a reliable team to back it up. We have been using NLA payroll system for over 20 years . We have stuck to the same system, without any regrets, because it is so easy to use and they are always willing and able to sort out any problems that sometimes arise. With NLA, software support is fast and efficient. Software enhancements that we request from time to time are never a problem. Sandro Gatt - Alf Gatt Autoparts Ltd.
We have been making use of the services of NLA Systems Ltd since January 2001. Throughout these fifteen years, we have always found them to be very professional in their work. The staff are also extremely friendly and helpful. We look forward to working with them for many years to come. St. Patrick's Salesian School and Salesian Press have been using the services of NLA payroll software since August 2003. Throughout these years we have experienced a very professional service. They offer an excellent support and guidance service. We do not hesitate in recommending NLA payroll software. 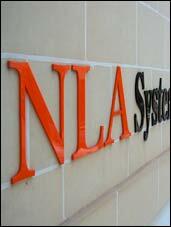 We have been using NLA Systems for more than 25 years. We have always received efficient service and consider NLA staff as work colleagues and friends. Throughout the years, the systems have been upgraded to move with needs of the times. NLA have helped us consistently and adapted to our changing business needs. When I was setting up my business 29 years ago, I wanted flexible software to handle our accounting and booking business in the Destination Management field, NLA delivered a very efficient â€œKISSâ€� system (keep it simple, stupid) that with minor updates we are still using today. Over the years, we went through National Tax changes with ease and without any problems and we always found Noel and his staff available at all times to make any additions or updates we required. This in the software business is special and shows the professionality of the company from the very beginning. Envic Galea - Ultramar Ltd.
All of our experience during our twenty years plus of association with NLA Systems has been very positive. To our knowledge this company has a history of timely and successful completion of requested software packages. Moreover, their support system is excellent. Emmanuel Gatt - Fort Blocks Co. Ltd.
We have been using the services of NLA for several years now and it has been a very positive experience throughout. The people working there are very efficient, helpful and approachable and when it comes to customer support I have always been satisfied with their service; they excel in this. I would definitely recommend NLA to others. Peter Borg - Borg & Aquilina Ltd.
We have been working with NLA Systems for over 15 years now and cannot be more satisfied with the job they do for us. Most impressing is their can-do attitude and willingness to go the extra mile to satisfy our needs. The service we have received from NLA Systems has been of the highest level and their professionalism and efficiency consistently exceed our expectations. Needless to say I would not hesitate to recommend them to others needing peace of mind and an excellent service. We at International Merchants have been using Pyramid Payroll by NLA for a good number of years. We are more than pleased to recommend this program as it is one of the most accurate in its payroll workings, extremely user friendly and above all the people behind it are always there when you need them. NLA systems have the best support services I have ever come across. We are very satisfied with our payroll software. It is very flexible and user friendly. It is also supported by a sterling service. In addition to NLA Systems' wonderful customer service, we also rely on their dynamic development area that listens to the growing needs of its payroll customers by continually offering solutions and improvements to its product. NLA Systems has consistently accommodated all our requests, both ordinary and unusual, in a quick and accurate manner. We gladly recommend NLA payroll to any business.